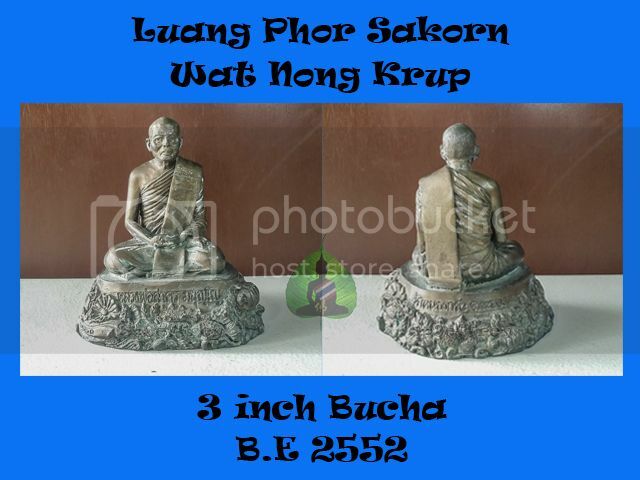 Luang Phor Sakorn is one of Luang Pu Tim's disciple which inherited some of Luang Pu Tim famous Pong Plaii Kuman powder. Never the less, amulets chanted by Luang Phor Sakorn have gotten great feeback of great metta and maha senah too. 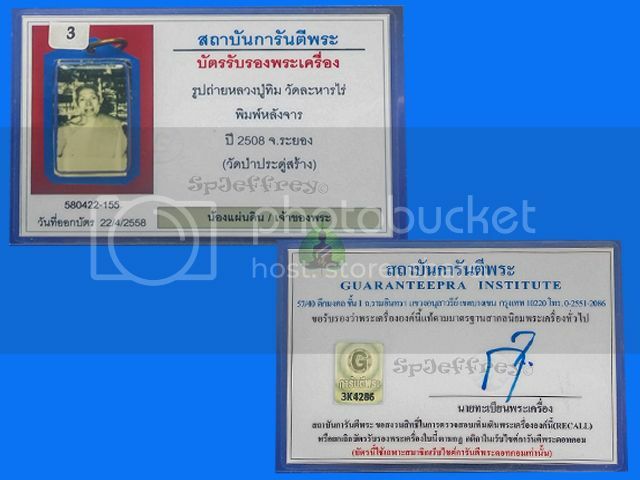 After Luang Phor Sakorn passed away, most of his amulet are harder to acquire in the market and not the say about the price as it have jumped at least a fold. 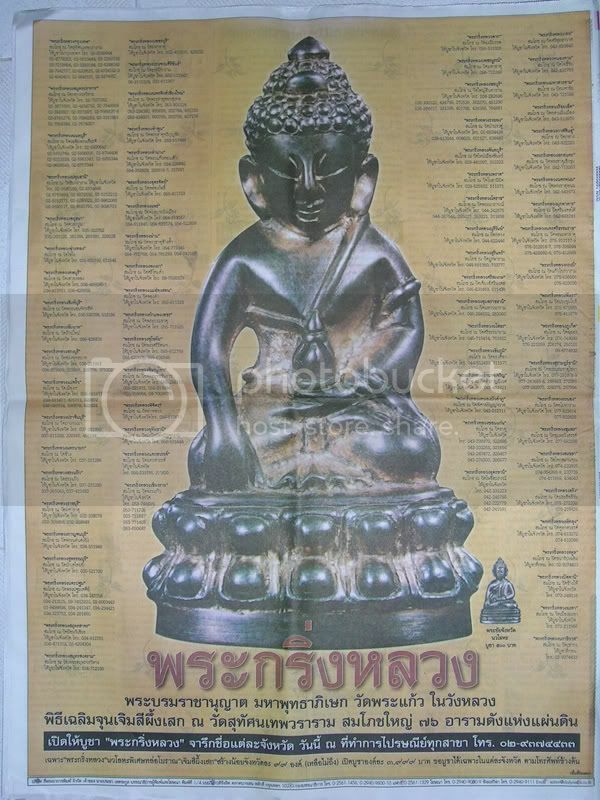 Excellent piece of bucha for Luang Phor Sakorn lovers or collectors as bucha chanted by him is very rare in the market. Great for smooth sailing in life, metta and even maha saneh. Stuffed with holy powder at the bottom of the bucha and temple chop on a piece of robe. A great piece not to be missed as prices might jump again and this piece of bucha followed the old mould of Luang Pu Tim which featured a pond under Luang Phor which is beautifully designed with fish, crab, turtle and lotus flower which all symbolize something meaningful. Taking example of turtle is known for its longevity. There is royal candle wax and flower which the King have presented to abbot of Wat Suthat during a religious ceremony to bless his 60th anniversary of his accession to the throne on 8 June as you can see thousand queue up for this valuable Phra Kring and it is highly in demand in the market as it is rare that there is flower presented by the King have been used to made this batch of Phra Kring. 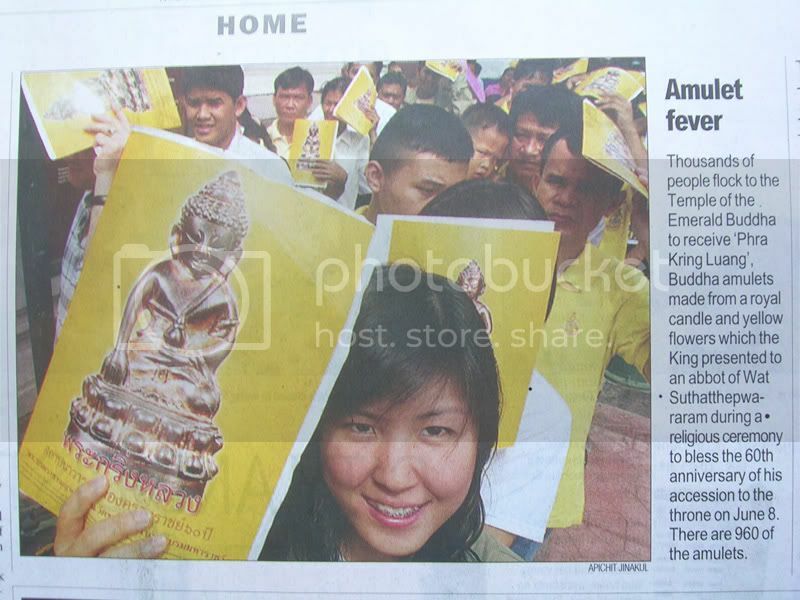 As you can see from the photo below, even newspaper have publish about this and there is even photo of the King presenting flowers to the abbot. 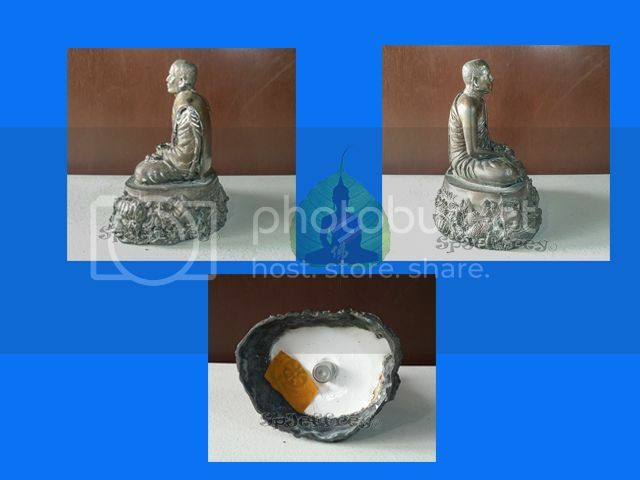 This Phra Kring is highly collectible and Phra Kring have been blessing believers in Good Health, smooth sailing in life, Overcoming obstacles in life, Wealth fetching in everything, Protection, good opportunity and successful in everything that you do. 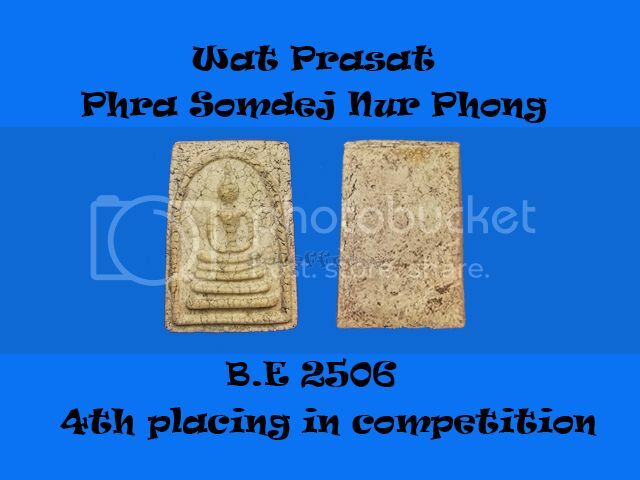 Phra Kring is also one of the top collectible amulet that Thai collect and most of the Phra Kring made by olden days monk are sold in sky rocketing prices. A fire broke out in Wat Prasat casing serious damage to the temple in B.E 2506. 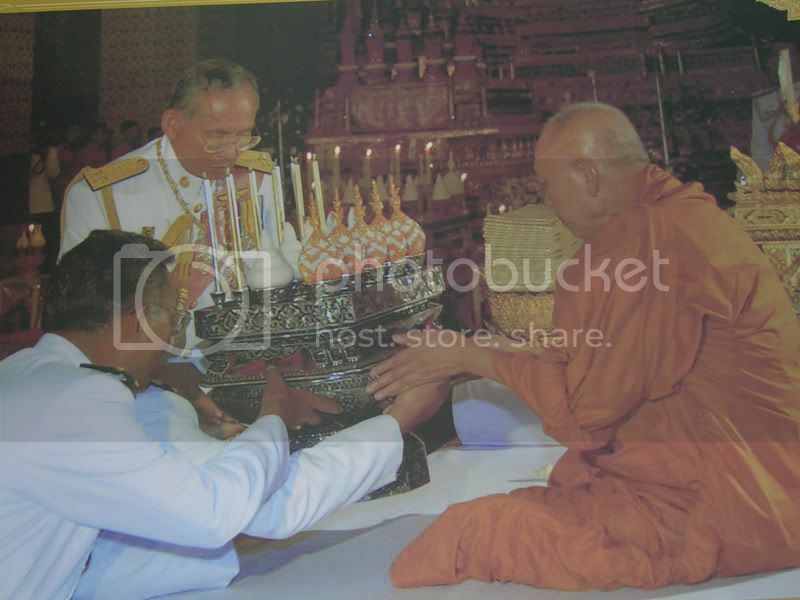 Hence many famous monk such as Lp Nak ,Lp Hin of Wat rakang,Lp Toh of Wat Praduchimplee, Lp Ngern of Wat Don-yai-hom and even Lp Tim Wat Lanhanrai etc.. joined in the mass chanting ceremony which was held twice. ( 1st time - 4day & 4 night, 2nd time 3day & 3 night) A total of around 300 monks join this masses chanting. A piece excellent for its colelction value or even for wearing as many famous monk of the era joined in the chanting and not to forget many famous amulets powder have been added to make this Phra Somdej. Ideal piece not to be missed - Suitable for all walks of life which Phra Somdej is known to protect wearers with smooth sailing in life, general protection, Prosperity and even Metta. Comes with a 4th placing competition cert. 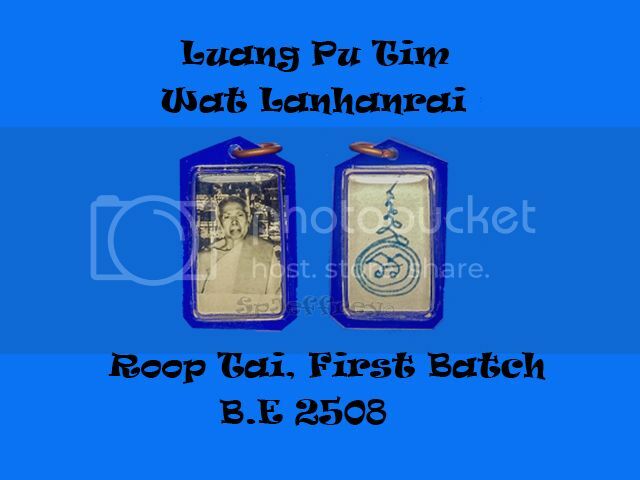 This is one of the first few photo that have been produce during B.E 2508 and they are considered the first batch release by the temple. 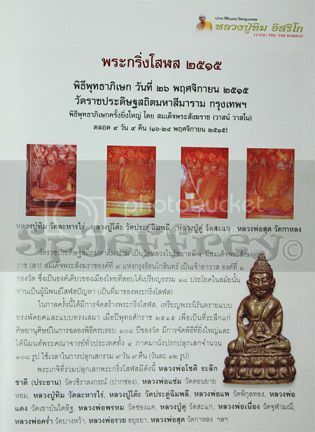 Photo of Luang Pu is getting rarer in thai market as many good feedback that they receive, dealers are no willing to let go their own piece and instead wear it themselves or for show purpose only. 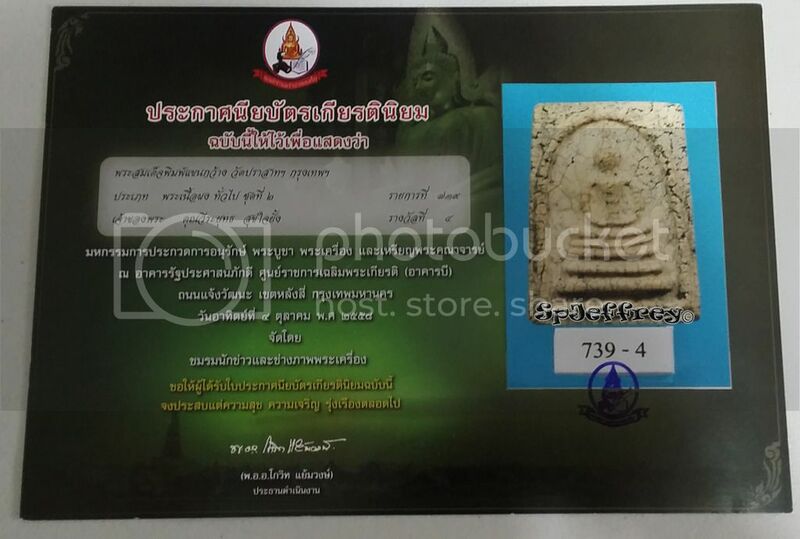 Comes with Gpra cert that verify the authenticity of the piece of rare photo that comes together with a original plastic casing that is release from the temple itself. A hand written yant have been drawn at the back of the photo too to enhance the power of the amulet. Suitable for all walks of life and even for kids and people for are looking for wealth, metta, protection and smooth sailing in life. Sold ~ Thanks bros for the support! 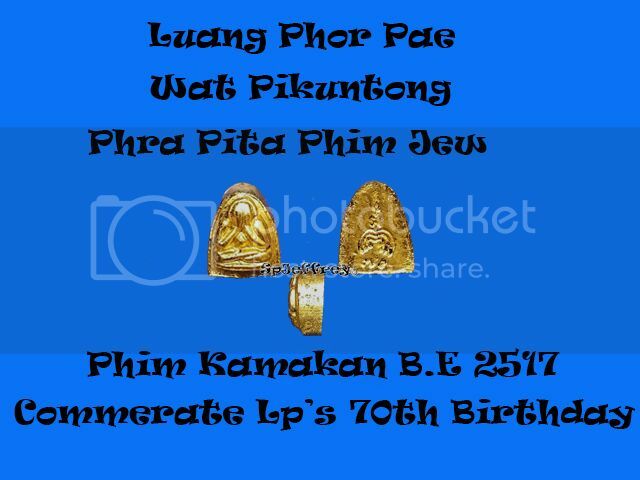 This beautiful piece of Phra Pita Jew is made to commemorate Lp's 70th birthday. This piece is not just normal gold Kamakan phim but also Phim Gao which means Thick Phim as it is thicker than normal phim by half a size. Phra Pita not only protect wearer with kongkrapang but also with wealth and metta as it is made by Luang Phor's famous powder. Not only a collector piece but also a great size for skids or even hang it at the back of your necklance. Personally collected at Wat Bang Phra during last visit to the temple. Asking For SGD $8 Only Left with 2 Black, 2 Red and 5 Thai colour.